The A9 is the third Sony mirrorless camera designed to appeal to professional photographers. 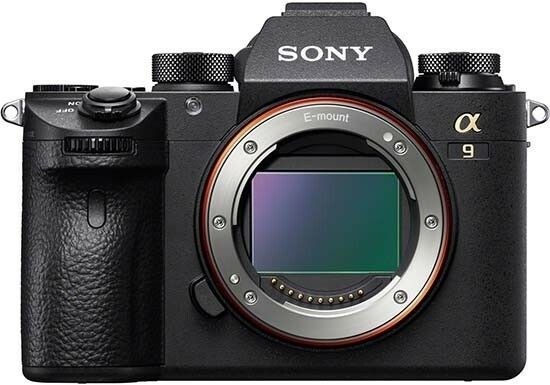 Whereas the A7R II targeted landscape photographers with its huge 42 megapixel resolution and the A7S II clearly appealed to videographers, the Sony A9's sheer speed makes it a serious rival to the Canon EOS-1D X Mark II and Nikon D5, two well-established cameras that have long dominated the sports/action segment of the professional market. The fact that the A9 out-performs both of those cameras in certain ways is testament to how far Sony have come in a very short space of time. While the Sony A9 is clearly an outstanding camera, though, we're not actually sure how many professional sports/action photographers will actually be tempted to buy it, mainly because of the current lack of long, fast native Sony FE lenses and the still limited support for professional users, both of which are clearly bettered by Nikon and Canon. Still, if Sony can catch up quickly, fill our their long prime lens lineup and provide a comparable level of pro-support, which their recent track record suggests they can do, then the big two players certainly have a lot to be worried about.